A Book Scanner App is used to scan the EAN/UPC barcodes on the back of books (or just about any other item) to quickly view the current prices and sales trends on Amazon. You can create a full-time income by buying things like used books locally and listing them for a profit on Amazon and other online marketplaces. This is often referred to as retail arbitrage and is basically just buying low and selling high in a different market (local vs online). You would be surprised at how many places you can find cheap items that you can get a hefty profit on Amazon. Why is selling books online so great? One of the easiest items to find locally, and the most lucrative, are used books. These used books can usually be bought for $0.25-$3.00 a piece and resold for $10, $20, $30, $40 and up online on Amazon. Books still continue to offer a very high ROI when resold online; one time I actually sold a book for several thousand I bought for only $2.50. You can start with a hundred dollars and literally turn that into a business that will bring you several thousand a month. Though there are definitely some book categories that do better than others, the reality is, you absolutely must have a good book scanner to do this business effectively. I have been in the retail arbitrage game (reselling books and other items) for over 10 years so I definitely have a lot of experience on knowing what book scanner apps work and what don’t. One thing you need to look for in a book scanner is if it shows pricing info and sales rank. Some scanners will show you Amazon sales rank, which is a metric that we can use to see how popular a book is, and how likely that the book will sell in a given period of time. When buying books to resell, you want to make a profit over what you spent, but you also want it to sell as quickly as possible. You don’t want a book sitting for 8 months before it sells. When buying books to resell online (flip) it is imperative to see the sales rank, correct pricing info, and to quickly scan lots of books. These factors will allow us to scan enough books to scout out enough winners, and it will give us enough information so that we know with some certainty that we will make a healthy profit on each item. When trying to figure what the best book scouting software is, you need to note that there are two types of book scouting software. Live Scanning Apps (Phone/ Android): These are apps you download to your iPhone or Android phone. It uses your mobile internet connection to retrieve product and pricing information from Amazon or other online sources. This is a more cost-effective option to scan books, as you don’t need to buy anything extra; you can just use your phone. This is good for a very part-time used book selling business or for looking up pricing info to sell your old used items. 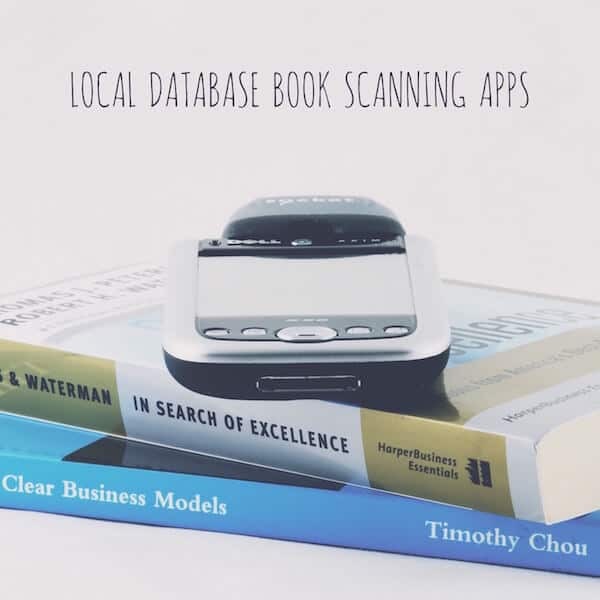 Local Database Apps (PDA): These are apps (monthly subscriptions) and devices (PDA & Scanner) that allow you to scan books and other items for reselling, in the most efficient way possible. The local database method is the best method for reselling books as a business. If you want to sell used books and other items online as a full-time, or part-time business, you should definitely consider the local database options. You can scan more books quicker because it gives you the ability to scan books very quickly using a local database of prices, along with a laser scanner. The Benefit of iPhone Scanner Apps is that you don’t need to purchase any additional hardware. You don’t need to buy a PDA or an external laser scanner because these apps use your phone’s camera to scan the barcodes. The live scanning apps always retrieve live pricing data which is nice to have for making your purchasing decisions. Also, many of these apps don’t have a recurring subscription cost; Some are even free. This is the best method for a used book selling business because you can essentially make more money per hour you are out scouting used books, media, and other items. You can scan way more per hour than using your phone’s camera over an internet connection. The difference is quite dramatic when scanning a lot of books. What makes local scanning so much faster than live book scanner apps? Laser Scanner: The scanner is much much faster than the iPhone or Android camera. Sometimes the phone cameras will have a difficult time reading the barcode, whereas the laser instantly recognizes the barcode. After all, the laser was built for scanning, whereas the camera was built for taking pictures. Local Database: Each time you scan a product on an iPhone or Android phone, it has to use your internet connection to retrieve the Amazon pricing. When you have the database stored locally on your device, it allows you to instantly retrieve the pricing information. This quick scanning ability becomes much more necessary if you are at a big book sale like a friends of the library book sale, or local library book sale. In these environments, you are competing with other book sellers to get the best books, so you must scan as quickly as possible. A subscription: You will need to choose a book scouting app company that offers the local database book scanning service. Currently, I use Asellertool, as they offer good prices ($30/mo) and it comes with some nice extras for that price tag. Trust me, when you are finding tons of books, and making $30 per book, you will not be worried about paying $30 per month. 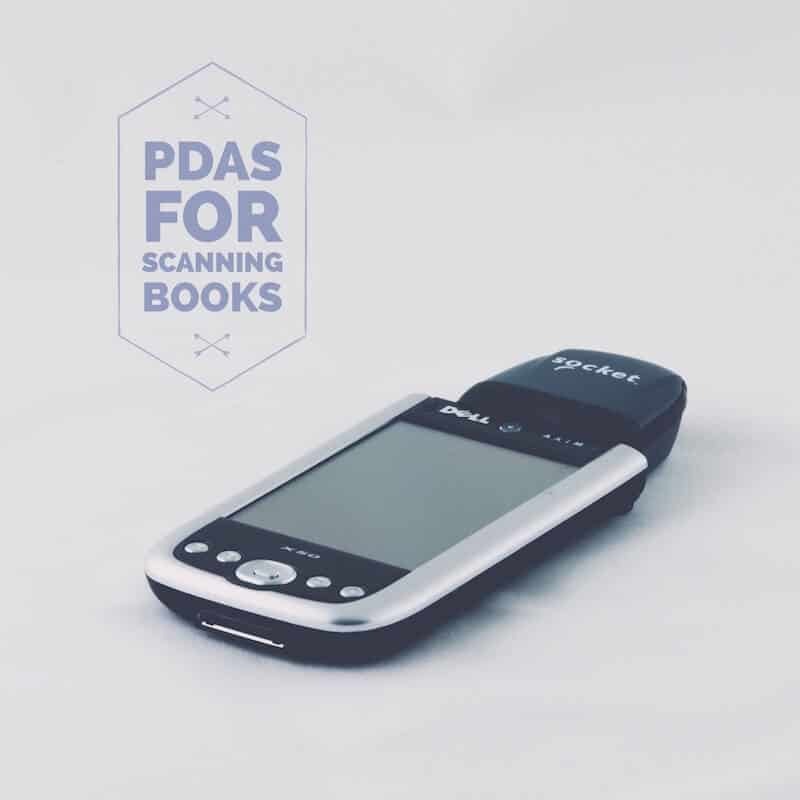 A PDA or Phone: You will install the app on a PDA or Phone, along with a laser scanner. Then you will be able to scan away at lightning speed! A Scanner: You can choose a Bluetooth or plugin scanner. Note: You can also Pair the Bluetooth book scanner with your iPhone or Android Phone to be used with the live book scanner app. It will be quicker than using the phone’s camera, but you still have to wait for the internet connection to retrieve pricing data for each scan, which takes a bit longer than a local database. The difference in time adds up when you are scanning hundreds of books.